We’ll be the first to admit that after the disappointment of The Force Awakens, we weren’t excited about Rogue One. Then after the teaser dropped, we still weren’t enthused. There were just too many weird elements, like Donnie Yen beating down opponents with kung fu. But it’s amazing how a single trailer can reverse an opinion! We’re actually kind of pumped for this one now. Plus, we didn’t know that Riz Ahmed was in this! Ever since we saw him in Four Lions and then again in Nightcrawler, we thought he was a great actor. It was also nice to see him in Jason Bourne, even though it was an inconsequential role in a mediocre movie. We hope he keeps coming up in Hollywood flicks. 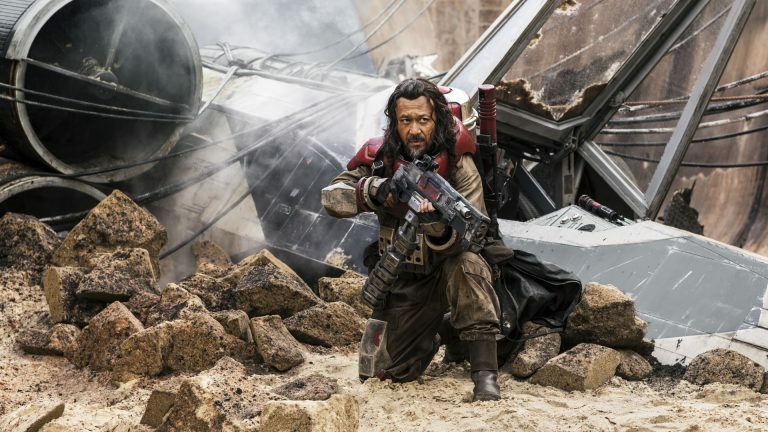 Rogue One opens on December 16, 2016.